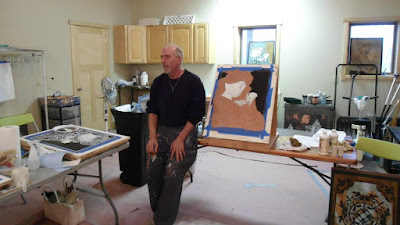 Being an artist I am always studing my surroundings and looking for ideas for new decorative finishes. Sometimes the inspiration for those finishes come from the most unlikely places. This is the Al Capone room. The walls would make a great finish for a wine celler. These are the walls in a penitentary. Again, these would be great for a wine celler or how about a theater room? I rarely get a chance to do a finish like the photo above, but I like them.